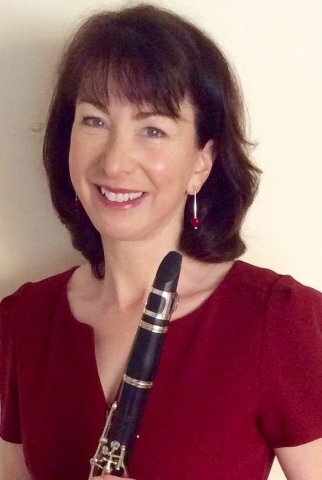 I started playing clarinet as a child and then later took up saxophone, achieving Grade 8 in both instruments before studying Music at university, where I gained a BA(hons) and then a PGCE. I lived, taught and played music for many years in Rutland, before moving recently to Marple in Cheshire. I am excited by the musical opportunities here and am enjoying playing classical clarinet in a trio and saxophone in two swing bands. I enjoy playing and teaching a range of styles, from classical to jazz to rock and pop. I aim to pass on my enthusiasm and love of music to those I teach! I have a wealth of teaching experience over more than twenty years. My students have ranged in age from seven to seventy and I have taught complete beginners to Grade 8 and beyond to Diploma level. I have taught in primary and secondary schools, in both the state and private sector. Before moving to Cheshire I taught at the Stamford Endowed Schools (independent Girls, Boys and Junior) and at the Vale of Catmose College in Oakham. I have also always taught privately at home. I have prepared many students for music scholarships, as well as supporting GCSE and A2 performances. I have also successfully prepared hundreds of players for ABRSM and Trinity grade examinations, with outstanding results. I favour a student-centred approach and I want those I teach to experience as much joy in music as I do myself. I establish the aims and requirements of individuals and gain an insight into individuals' learning approaches, so that I can get the very best results in the shortest time. I am as happy teaching complete beginners as I am teaching more advanced students and I strongly believe that age and lack of experience are not a barrier to future success in learning to play a musical instrument. Lessons may vary in length, from 30 minutes to an hour, depending on the needs and ability of the student. I happily teach a range of musical styles and I like to teach theory alongside practical learning in order to gain a more rounded understanding of music.